One morning after a yoga class, I was enjoying a discussion with my fellow yoginis, but as we intertwined astrology, herbal lore, Eastern beliefs, Ayurveda, cord cutting (Shamanic Tradition), Western Medicine, and Christianity, I began to wonder how we could contemplate this spectrum of world views simultaneously. Aren’t these world views disparate? Must I hang my head in Philosopher shame? But each of these world views are just that, a view, a perception – a way to see the world. The world or existence is what it is, whatever our cosmology. When we perceive it, we use our senses to gather information about reality. Well, that is what we think we are doing, but perhaps a more accurate description might be: through the interaction between our sense organs and existence we create a relationship that the brain translates into something our consciousness can understand. We translate reality into something we can see or hear or touch. For example, reality is not red; the “red object” reflects a wavelength of light that the mind translates as red through the medium of the eyes. Perhaps we can think of each disparate world view as a different way of interacting with reality, just as we hear the sound of a drum, see its color, and feel its texture, knowing that the drum is all of these without any contradiction. Natascha will presenting a workshop, “Introduction to Neurosculpting,” during Ladies Healing Day and will be on hand along with the tribe from Ignite Yoga Studio and other Ignite Apothecary Practitioners on Saturday, March 25th at the Pointe Hilton Squaw Peak Resort. Please check it out at http://ladieshealingjournal.com/lhd/. Natascha Marler, LMT, E-RYT 200, CSNF, has been studying healing philosophies for over 18 years. She has been a massage therapist for 15 and a yoga teacher for 9. Her newest modality is Neurosculpting® meditation, a five-step meditation process that is specifically designed to consciously rewire neurology. 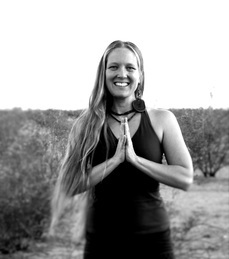 She offers healing meditation and massage at Ignite Yoga Studios in Goodyear, AZ. For more info: http://www.gypsymamabliss.com. Stephen Revering, Pranic Healing and Zen Meditation Specialist . . . Natascha Marler, LMT, E-RYT, CNSF . . . Virgie Ponce, BSN, Registered Nurse, Aromatherapist . . . Jamie Rudolph, Esthetician, LE, CLT . . . Jennifer Elton, NMD . . . Carolan Dickinson, Psychic Medium, Angel Intuitive, Reiki Master Teacher, Author . . . Susan Leahey, Transition Coach. For more information, or to learn how to schedule please visit Ignite Yoga’s website at http://www.igniteyogastudios.com/apothecarybar.html or call the studio at (623) 374-7812.